This article covers the installation and configuration of the Mag+ Tools for OS X. 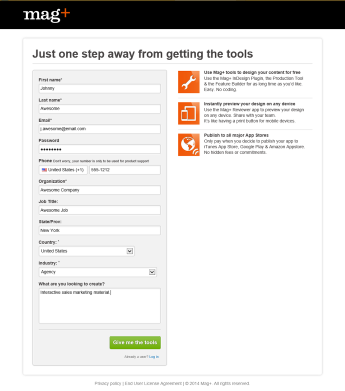 Follow the steps below to download the tools and install them. 1. 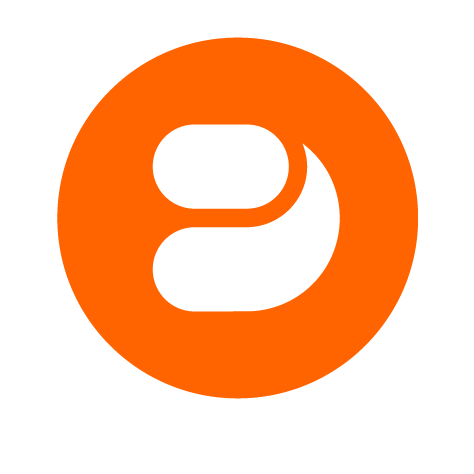 Go to <http://www.magplus.com/signup/> and create a free Mag+ account. 2. Download the Mag+ Tools for OS X and your InDesign version. 3. 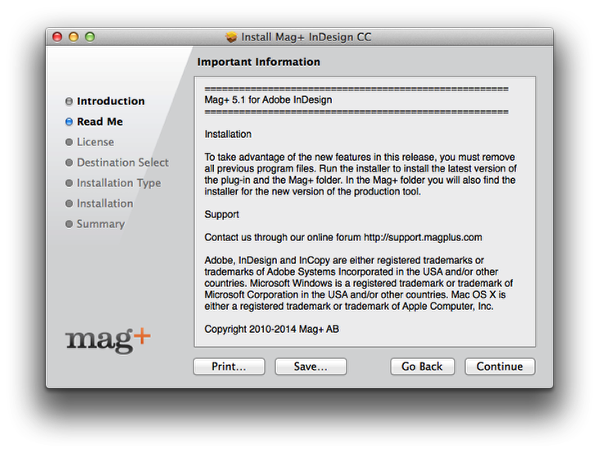 Open the Disk Image (.dmg file) that gets downloaded and run the Mag+ InDesign installer. 4. Follow the Installer prompts to install the Mag+ Tools. 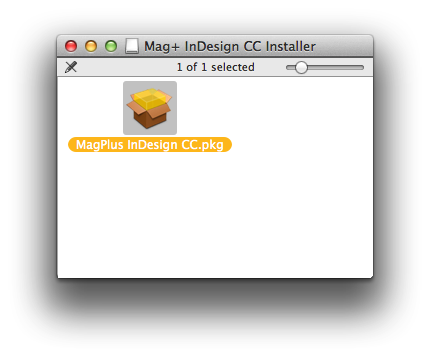 The installer will install the Mag+ InDesign Plugin, Production Tool, and templates. Simply follow the installer prompts to complete the installation.